Okay, here’s the short review: Trumbo, you better move over ’cause here comes my new favorite movie of all time that just decimated every other movie in existence. This movie is friggin’ unbelievable. Here’s a quick explanation of the plot (And I mean quick because there’s a lot more to it), without spoilers: AVATAR takes place on a planet called Pandora (anyone up for Borderlands?) that is home to a humanoid race of aliens known as the Na’Vi. 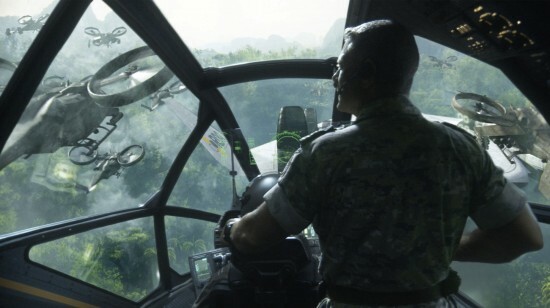 The Na’Vi’s Hometree (the area in which the main tribe in the film lives) is sitting on top of a resource that’s extremely valuable on Earth. The humans (or “Sky People,” as referred to the Na’Vi) want to chop down the tree so they can get to the resources. There are two options: get the Na’Vi to peacefully find a new home so that the tree can be sliced down, or gas ’em out and hope they don’t fight back. The Na'Vi's design is impressive. Like I said, I won’t spoil anything, but what is done in order to make this possible is this: humans are placed in remote controlled Na’Vi like bodies that the humans believe are very convincing. And they are, to the audience at least. 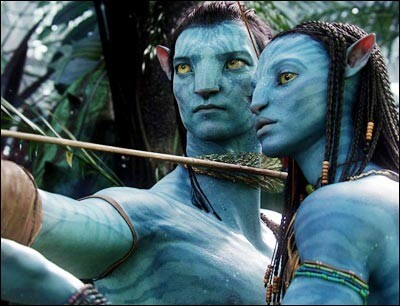 The Na’Vi already know these people are those who live amongst the Sky People, but not about the fake bodies and the fact that there are humans controlling them. The bow is mightier than the gun....not really. XD No, but it is. The acting in this movie is top notch. Sam Worthwington has done a great job playing the main character, Jake Sully. The rest of the cast is incredible as well, bringing these characters to life in ways you have to see to believe. I would like to commend Sigourney Weaver for her performance as Grace. You did a great job Weaver, and I’m proud to have watched you perform on opening day (well, night. But not the very first showing night, I mean the night that just passed a little while ago). 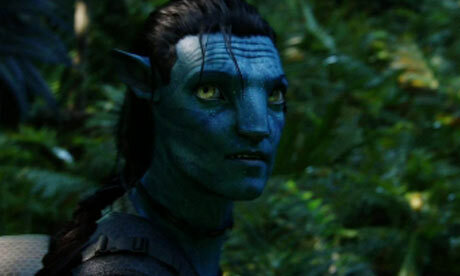 Zoe Saldana also did a great job as Neytiri, making her seem more real than I’d expected. Jake Sully is the main character. This is his avatar. 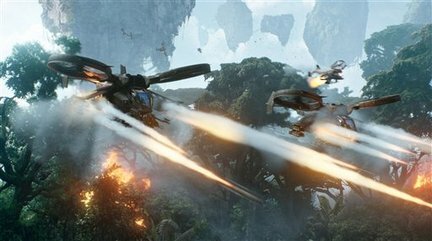 The set pieces are fantastic and the planet of Pandora is rich with life and very beautiful. There’s also lots of strange alien creatures that really catch the eyes of the audience and get a lot of “ohs” and “ahs” out of them. Oh, and one thing that should be take into account is this: this movie MUST be seen in IMAX friggin’ 3D. It’s the coolest thing in the world. 3D has basically been viewed as a sort of experimental thing up until the release of this movie. AVATAR’s 3D effects are the best 3D effects ever. Once again there were “ohs” and “ahs” that swept through the audience at the sight of these 3D images. Oh, and one more thing, this movie may look like it will be a long epic, and it is. But you know what? You’ll never be bored. The movie is always interesting you in what’s going on. The pace is fantastic, and it never wears down. 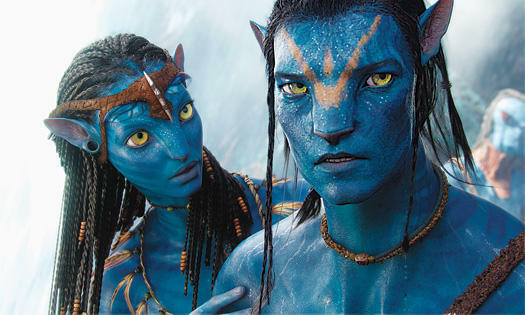 Everyone on Earth needs to go see AVATAR now. This movie is an instant classic and will never be forgotten, ever. But you must remember the rule above about 3D. YOU MUST!!!! Movie & TV – All Toys – Best Prices on Toys & Games for all ages. Mr. Cameron’s singular vision has upped the ante for filmed entertainment, and given us a travelogue unlike any other. I wouldn’t want to live on Pandora, mainly because of the bad air, but I’m glad to have paid it a visit. Well, I believe it’ll be the highest grossing film of all time, if that’s what you’re asking.